The Tennessee Sampler Survey was founded as a not-for-profit organization in 2004. 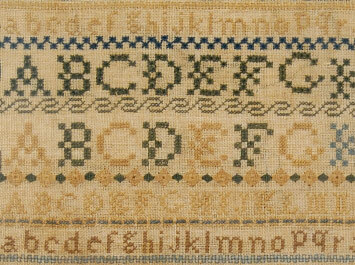 Our mission is to document and preserve Tennessee's needlework heritage. Our research includes documenting Tennessee samplers made prior to 1900. As of February 2019, we have located 322 samplers, 248 of which can be proven as Tennessean. 06/01 Welcome to Our New Web Site!